Retire to Louisiana known as the Pelican State, it is bordered by Arkansas to the north, Mississippi to the east, the Gulf of Mexico to the south, and Texas to the west, it is a West South Central state shaped like an “L”. Louisiana urban environments have a multicultural, multilingual heritage, so strongly influenced by an admixture of 18th century French, Spanish and African cultures that they have been considered somewhat exceptional in the U.S.
Cajuns are the descendants of French-speaking Acadians. Several thousand French-speaking refugees from the region of Acadie (now Nova Scotia, Canada) made their way to Louisiana after being expelled from their home territory by the newly ascendant British. The Creole people are split into two racial divisions. Créole was the term first given to French settlers born in Louisiana when it was a colony of France. White Creoles are predominately of French and Spanish ancestry. The Louisiana Purchase by the United States in 1803 ended France's presence in Louisiana. The purchase was a vital moment in the presidency of Thomas Jefferson. Due to its prime location, It is one of the leading states in trade. The Port of Greater Baton Rouge is strategically located on the Mississippi River and is an integral part of the maritime industry and overall economy. More grain and petroleum is shipped from New Orleans than any other port in the U.S. The port provides easy accessibility to world markets. Although it has a European flair, its lifestyle is considered laid-back. With so many cultures influencing different parts throughout the state such as: English, Irish, German, and French; it is interesting to note that most of the architecture in New Orleans’ French Quarter is predominately Spanish. It is tax friendly to retirees. Retirees seeking a new state will find Louisiana welcoming them with open arms. There's no better time to experience this great state than right now. Currently, eleven communities have been designated as certified retirement communities. With 37 parks, 115 sites on the Wetland Birding Trail, festivals every day, antique shopping, great nightlife and exquisite cuisine as well as the best fishing in the world – you will find an array of activities both cultural and recreational that draws retirees to its city in record numbers. The weather depends largely on where you live. With a mostly mild winter and a hot summer, there are the occasional showers in the spring and summer months to cool things off a bit. The sweet smell of magnolias, however, which is the official flower of Louisiana, makes up for any inconvenience. Many of the state small towns have been nationally recognized as Ideal Places to Retire. Many have already returned to New Orleans since Katrina; recent events give every indication that 2009 is poised to be the best year the city has seen since the hurricane. 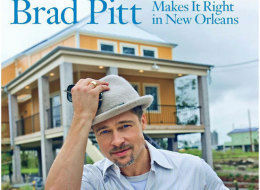 Combine a rebuilding boom with powerhouse couple Brad Pitt and Angelina Jolie moving in to the French Quarter and a revitalized Canal Street beckoning musicians and ramblers back to its pretty riverside promenade, and you've got the makings of the Ideal Place to Retire. Planning a trip to Louisiana to investigate your ideal place to retire? Consider visiting a bed and breakfast. 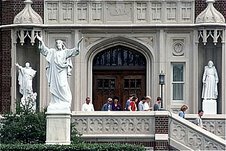 Several of them are located in the French Quarter; the Cajun country; Plantation Country; however they are in all the major cities as well as some of the smaller towns. It's hard to find a better place to walk in the U.S. than in New Orleans. In the French Quarter, you can stand in the center of Jackson Square and walk upriver or downriver, then circle your way through the Quarter until you're back where you started. Today, Baton Rouge is one of the largest mid-sized business cities in the Unites States. It is also one of the fastest growing metropolitan areas. Recently it has created a Downtown Development District. Known for its great people, its unique food and its lively music, Red Stick has something for everyone. Shreveport is in the Northwest Area of Louisiana, known as the area of "Sportsman's Paradise". It is the third largest city in Louisiana and the economic center for business and tourism in a 200-mile wide region known as the Ark-La-Tex where the borders of Arkansas, Louisiana and Texas meet. Natchitoches Parish is located in the central area of Louisiana. Established in 1714, this city is the oldest and most historic settlement in Louisiana. Its friendly community and low cost of living is what makes Nachitoches an ideal place to retire.